Brooklyn Nine-Nine: Season 5 may have just arrived on Netflix UK, but Season 6 of the US comedy is already back on our screens this month, with E4 once again premiering the seres. The hit show, created by Dan Goor and Michael Shur, premiered back in 2013, and follows a group of cops working the 99th precinct of the NYPD. 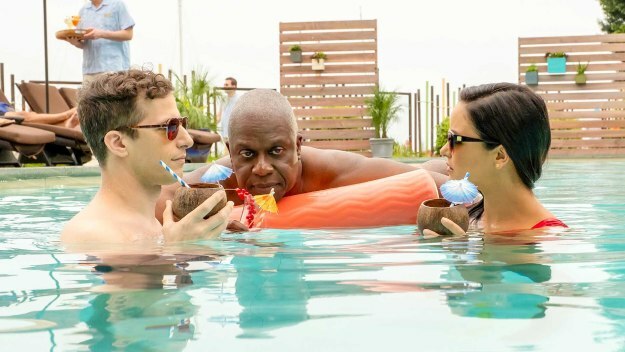 The ensemble cast, led by Saturday Night Live veteran Andy Samberg, includes Andre Braugher, Terry Crews, Melissa Fumero, Stephanie Beatriz, Joe Lo Truglio, Chelsea Peretti, Dirk Blocker and Joel McKinnon Miller. Last year, though, fans were shocked to hear that Fox had cancelled the programme – and relieved to hear that NBC had rescued it and ordered a sixth run. While the show is hopping networks Stateside, though, it will stay put on British screens, with its UK TV home once again being E4. Season 6 sees Peralta and Santiago go on their luxury honeymoon and run into a familiar face. Gina and Boyle, meanwhile, get into a family squabble and Jeffords tries to live up to his new nickname. Season 6 premieres on E4 at 9pm on Thursday 28th March, with new episodes airing weekly – and available to catch up with on All 4 for free. Brooklyn Nine-Nine Season 6 will air on E4 in the UK. The comedy, created by Dan Goor and Michael Shur, premiered back in 2013, and follows a group of cops working the 99th precinct of the NYPD. 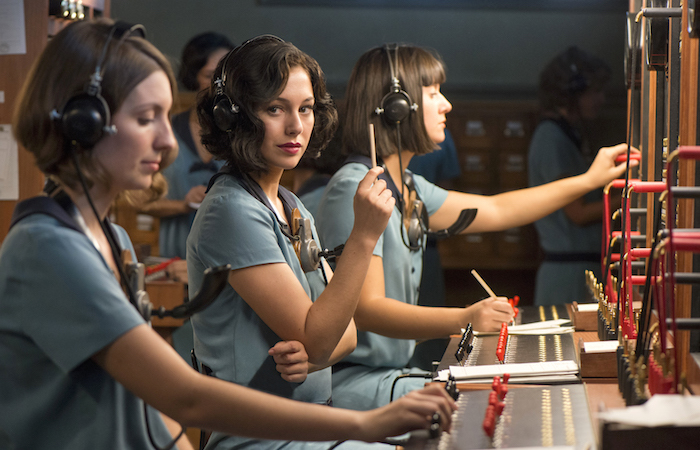 The ensemble cast, led by Saturday Night Live veteran Andy Samberg, includes Andre Braugher, Terry Crews, Melissa Fumero, Stephanie Beatriz, Joe Lo Truglio, Chelsea Peretti, Dirk Blocker and Joel McKinnon Miller. Last year, though, fans were shocked to hear that Fox had cancelled the programme – and relieved to hear that NBC had rescued it and ordered a sixth run. 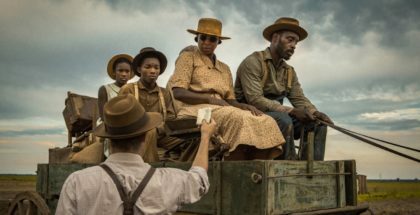 Channel 4 announced the news at the start of the new year, as part of a wider deal with NBCUniversal International Distribution. E4 will officially premiere Season 6 in 2019, while All 4 has also nabbed the rights to NBC’s 30 Rock, the first two seasons of which are available now to stream. “All 4 is fast becoming the go-to place for great comedy,” noted Charlie Palmer, All 4 Managing Editor, adding that 30 Rock would be a “fantastic addition” to its line-up. Season 5 will be released on Netflix UK, following its E4 premiere last year, on 8th March. Never seen it? Read why you should be watching Brooklyn Nine-Nine on Netflix here. NBC has picked up Brooklyn Nine-Nine and ordered a sixth season, barely a day after the series was cancelled by Fox. Fans were stunned and bereft when the news broke, which Fox reportedly attributed to low ratings in the US. What followed was an unprecedented response from fans online, eclipsing even the campaigns to renew NBC’s Timeless last year or the long-running push for Channel 4’s Utopia to be saved (a US remake is now in the works at Amazon). Celebrities including Lin-Manuel Miranda and Guillermo del Toro all joined the cries for more of the NYPD comedy, which stars Andy Samberg, Andre Braugher, Terry Crews, Stephanie Beatriz, Joe Lo Truglio and Chelsea Peretti. The show’s name trended on Twitter for the majority of Friday, with hashtags like #SaveB99 and #RenewB99 used. 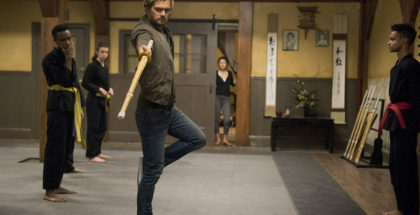 In a reminder of one of the benefits of the current Peak TV era, a number of broadcasters and platforms were reportedly interested in picking up the cancelled show. This morning, NBC confirmed that it has swooped in to save the day, with a sixth season officially on the way. Brooklyn Nine-Nine will return for 13 more episodes, giving co-creator Mike Schur three shows on NBC, alongside Abby’s and The Good Place. Never seen the programme? Season 1 to 4 of Brooklyn Nine-Nine are on Netflix UK, with Season 5 continuing to air on E4 on Thursday nights. Read our guide to why you should catch up. Brooklyn Nine-Nine has been cancelled by Fox after five seasons. The comedy, created by Dan Goor and Michael Shur, premiered back in 2013, and follows a group of cops working the 99th precinct of the NYPD. The ensemble cast, led by Saturday Night Live veteran Andy Samberg, included Andre Braugher, Terry Crews, Melissa Fumero, Stephanie Beatriz, Joe Lo Truglio, Chelsea Peretti, Dirk Blocker and Joel McKinnon Miller. However, before Season 5 has ended in the UK, Fox has decided that the show will be put behind proverbial bars, with no further seasons. In the US, Deadline notes that the show “never drew wide audiences” due to ratings being held back by scheduling moves between Sunday and Tuesday. The news was announced today along with the cancellation of The Last Man on Earth and The Mick. The good news, though, is that in this age of streaming, there is always a chance that the show could be picked up by someone else, with Variety noting NBC and Hulu as places the producers at Universal TV are likely to shop the project to. An, of course, Seasons 1 to 4 are still all available on Netflix UK, with Season 5 (including its 99th and 100th episodes) expected to arrive later this year. Never seen the programme? 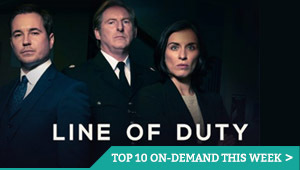 Read our guide to why you should catch up. Season 1 to 4 of Brooklyn Nine-Nine are available on Netflix UK, as part of a £7.99 monthly subscription. Where can I watch Brooklyn Nine-Nine on pay-per-view VOD?